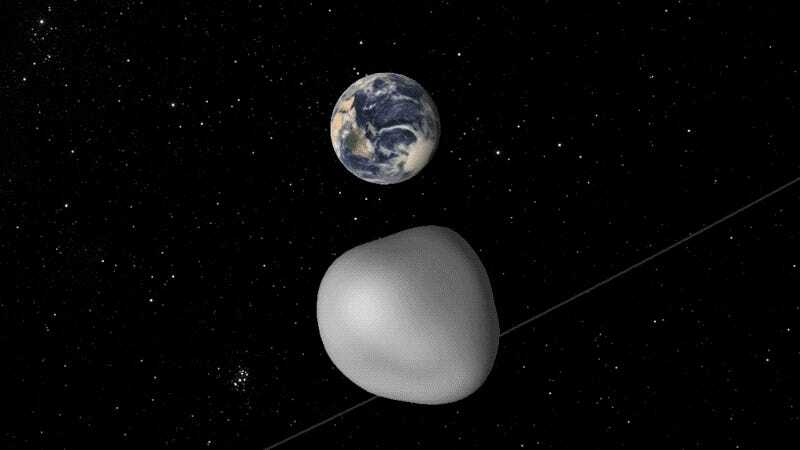 Early tomorrow, a small asteroid will zip past Earth well inside the Moon’s orbit. NASA says poses no threat, but astronomers around the world will use the opportunity to test the international community’s ability to detect and track potentially dangerous objects. The asteroid is called 2012 TC4, and it measures somewhere between 50 to 100 feet in length (that’s about 15 to 30 meters). Its closest approach will happen over Antarctica at 1:42 am ET on Thursday October 12th, at which time it’ll be approximately 26,000 miles (42,000 km) from Earth. That distance puts it a tenth of the distance between Earth and the Moon, and just above the upper orbital planes of our most distant artificial satellites. There’s no chance that 2012 TC4 will impact our planet, and for what it’s worth, no currently known asteroid is predicted to impact Earth for the next one hundred years. The key term here being “currently known.” Every once in a while an asteroid zooms by that we never saw before, causing the hairs on the back of our collective necks to stand on end. It’s for this reason that asteroid trackers around the world are going to point their telescopes at this thing over the next few hours and days. It’s an excellent opportunity for astronomers to see how well they function as a coordinated international asteroid warning network. 2012 TC4 was first detected by the Panoramic Survey Telescope and Rapid Response System (Pan-STARRS) in Hawaii in 2012, but the rock soon drifted out of range. These preliminary observations suggested a return in 2017, and indeed, observers with the European Space Agency and the European Southern Observatory re-spotted the object in late July using one of their large eight-meter aperture telescopes. Since then, other observatories have been tracking the object as it gets nearer, reporting their findings to the Minor Planet Center. When the rock makes its closest approach tomorrow, dozens of professionally run telescopes around the world will perform ground-based observations in wavelengths that will include visible, near-infrared, and radar. A number of these observatories are supported by NASA’s Near Earth Object Observations Program, and various international space agencies and space institutions. Even amateur astronomers are being encouraged to join in, but that could be tricky; 2012 TC4 will be difficult to see using backyard telescopes because the object is quite dim and it’ll be moving very quickly across the night sky. There’s obviously not much we could do in the event an Earth-bound asteroid is detected (at least not yet), but it’s still early days. 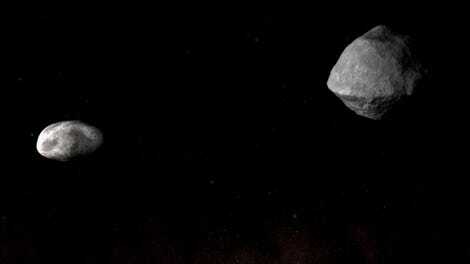 This early-warning system could grow into a bigger and better thing, and with the advent of more powerful telescopes, we should be able to improve our ability to detect incoming asteroids and predict their trajectories with improved levels of accuracy. 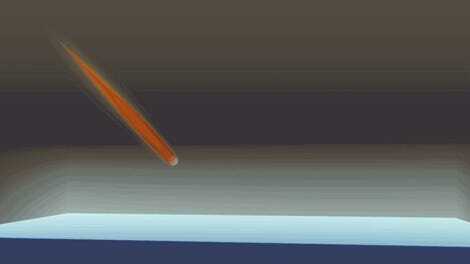 From there, we can devise asteroid deflection schemes, or evacuate vulnerable populations from areas deemed at risk. As a final note, it’s important that we not get upset by this grim possibility. The odds of an asteroid impact is exceedingly small—about one in 1,250 for each century (or a 0.08 percent chance for every 100 years). There are plenty other catastrophic and existential risks worth worrying about, such as pandemics, nuclear war, and future technologies such as artificial superintelligence and molecular nanotechnology. Fun times await!